Nigeria’s currency just couldn’t be stopped. This time last week, the Naira was in a race of its own for the bottom. At the parallel market just a few days ago, the Naira closed trading at N525 to the Dollar. Economists and speculators were so sure that trading would close at N600/$1 before mid March, 2017. However, on February 20, 2017, the Central Bank of Nigeria (CBN) tweaked its foreign exchange policy following marching orders from the national economic council headed by Vice President Yemi Osinbajo. Osinbajo and finance minister Kemi Adeosun mandated the CBN headed by its Governor Godwin Emefiele, to review its monetary policy. “Council members generally expressed concern over the current situation of the exchange rate and called for an urgent review of the current forex policy, especially interbank and parallel market rates”, Silas Ali Agara, Deputy Governor of Nasarawa State, told the press after the meeting. In the past, Emefiele had been advised to do something about the falling Naira. Adeosun and Emefiele have had public disagreements over the bank’s monetary policy in the past. This time, the CBN Governor was left with no choice, one top ranking government official who was at the meeting, told Pulse. Emefiele was read the riot act. “We told the CBN Governor that he had to do something urgently. It was an order”, the official said. Five days later, the CBN rolled out a raft of new forex policies. “In continuation of efforts to increase the availability of foreign exchange in order to ease the difficulties encountered by Nigerians in obtaining funds for foreign exchange transactions, the Central Bank of Nigeria (CBN) is providing direct additional funding to banks to meet the needs of Nigerians for personal and business travel, medical needs and school fees, effective immediately. “The CBN expects such retail transactions to be settled at a rate not exceeding 20 percent above the interbank market rate,” a statement signed by the apex bank’s Director of corporate communications, Isaac Okorafor, read. Other parts of the statement detailed that the CBN will immediately begin to provide foreign exchange to all commercial banks to meet the needs of both personal travel allowances (PTA) and business travel allowances (BTA) and meet the needs of parents, guardians and sponsors who are seeking to make payments of school and educational fees for their children and wards. Before the CBN’s new forex policy interventions, travellers out of Nigeria were finding it difficult to access forex at the airports. Travelex and other forex companies at the airports weren’t selling dollars, even though they all had the dollars. “They are all hoarding the dollar”, one passenger told Pulse at the Murtala Muhammed International Airport in Lagos, days before the CBN rolled out its new set of policies. “The banks are selling to the parallel market…to the Mallams, who in turn sell to the general public at an exorbitant price”. One Bureau De Change dealer told Pulse that they were purchasing the dollar at N350/$1 at official CBN sources and selling same to the public at N520/$1. 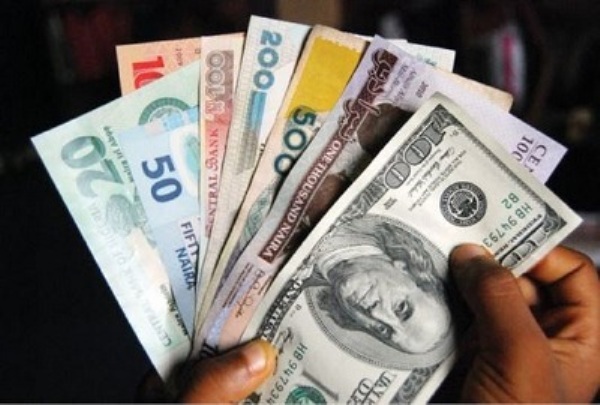 Other traders in forex were simply holding on to the dollar in anticipation of further devaluation of the Naira. Some held onto their forex while waiting to sell at higher prices. Speculators in forex were having a field day. “There was a lot of round-tripping and greed going on,” a financial analyst who craved anonymity for this story, told Pulse. “N525 is certainly not the true value of the Naira to the Dollar”, one banker told Pulse in utter frustration, last week. “In order to further ease the burden of travellers and ensure that transactions are settled at much more competitive exchange rates, the CBN hereby directs all banks to open FX retail outlets at major airports as soon as logistics permit”, the apex bank ordered. “The Bank reiterates that it would neither tolerate unscrupulous actions nor hesitate to bring serious sanctions on offenders, be they banks or their staff”, the statement read. 24 hours after the CBN barked and flexed its muscle, the Naira appreciated against the Dollar. Pulse’ checks at Bureau De Change outlets at the Lagos airport, showed that the Naira is now exchanging for N400 to the dollar, N520 to the Pound and N420 to the Euro, as at 12 noon, Friday February 24, 2017. The Naira may well trade for N300 to the dollar before mid March, if prevailing favourable conditions persist. Besides the CBN’s new interventionist policy, there are a few more dollars to play with in Nigeria at the moment. The price of crude oil has risen to $56/barrel in the international market and Nigeria’s crude oil output has gone past the 2million bpd (barrel per day) mark from previous poor levels of 1.7million bpd–which had to do with activities of pipeline vandals. At the best of times, Nigeria was averaging 2.2million bpd. As a consequence, Nigeria’s foreign exchange reserves have risen to $27B and foreign investors have just shown that there is still a strong appetite for Nigeria’s market with an oversubscribed Eurobond. There’s a lot more dollar in circulation at the moment than there was last month or two months ago. Analysts say the gains of the past couple of days in the country’s forex market can be sustained if the CBN and deposit money banks show more transparency in their dealings and if the apex bank stops rigging its own forex market. The only way to put speculators out of business, one financial analyst told Pulse, is to make sure the interbank has sufficient forex to trade. CBN officials have often been accused of selling forex to the black market and bypassing the banks, because there’s more bang for the buck that way. Once there’s an artificial dollar scarcity at the official channels, the black market waits in the wings to make a killing, Pulse was told by two bankers who contributed for this story separately.